Whey Isolate is a protein powder made by Staunch Nation. It’s a low-calorie formula, designed to improve recovery and lean body mass. Staunch Nation is a supplement company which was co-founded by Australian bodybuilder Calum Von Moger. Whey is one of the two primary proteins found in cow’s milk. It’s a quickly-absorbed protein, which has been shown by research to significantly improve recovery and growth of skeletal muscle (1). Whey protein isolate is a very refined form of whey, which has had almost all other milk solids removed. This makes for an ultra-lean, low-calorie protein powder, ideal for post-workout use. This formula contains a whole range of digestive enzymes. These are useful for helping with the breakdown and absorption of protein and milk solids, allowing for more efficient digestion. Athletes wanting a protein supplement to improve their recovery and growth may enjoy using Staunch Whey Isolate. 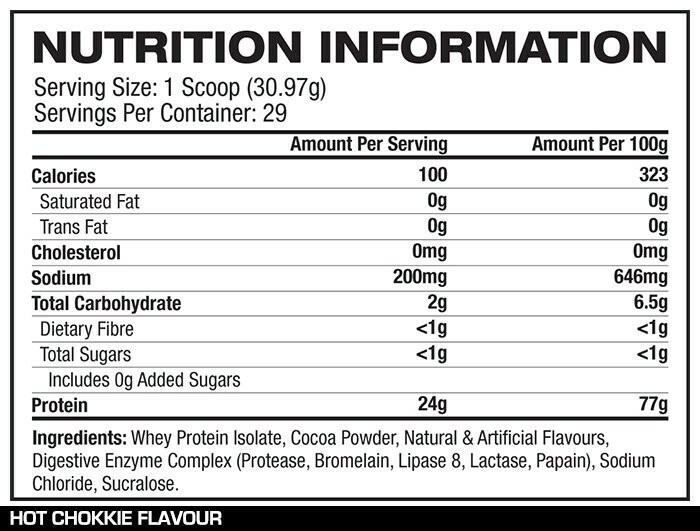 Mix 1 scoop (30.97g) with 250mL water or milk, and consume either post-workout or as desired. Excess protein consumption may worsen an existing kidney or liver condition. 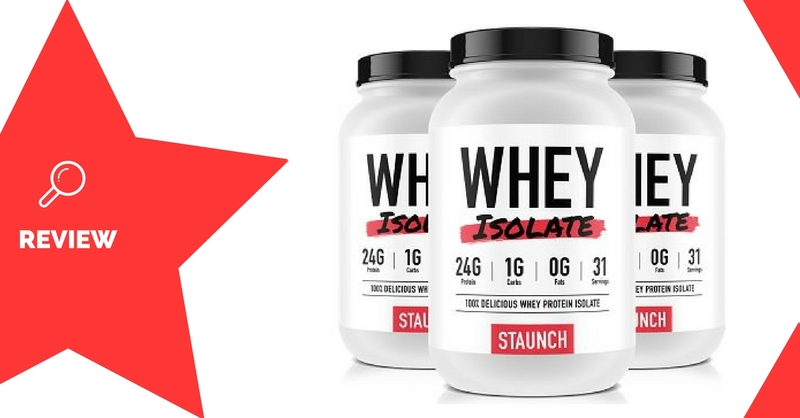 Staunch Whey Isolate is a lean protein formula that’s perfect for post-workout use, or as an everyday protein boost for your diet. It contains zero fat, and almost no carbohydrates, making it a super-lean protein source that won’t ruin your diet. It also contains digestive enzymes, which may eliminate any digestion issues in those who don’t tolerate dairy or protein very well. Unfortunately it’s a little high in price and only comes in small 1kg tubs. You may find some better deals for similar products on the market.